Issues to keep track of tasks, bugs for ROUTE-TO-PA platform. Milestones, labels and assignees allows to filter and categorize issues. 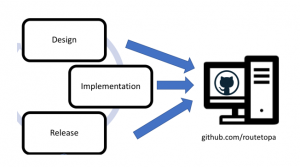 GitHub wiki provides content about SPOD, TET projects, such as architecture, installation and configuration guides, users and administrator guides .